Even the most simple of surgeries can elicit concern for patients. While surgeons and other medical professionals are highly trained in their craft, human error is always a possibility. Beyond simple errors, there is also the potential for acute carelessness and negligence that can result in serious complications or injury. Surgical malpractice can produce long-term and life-changing consequences to the patient’s life. 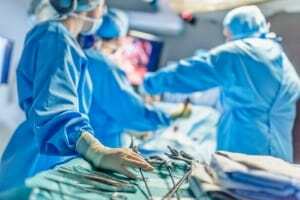 According to a study by WebMD, more than 4000 preventable surgical errors occur each year that result in at least $1.3 billion in malpractice judgments. These occurrences are often referred to as “never events” because they are the kind of mistakes surrounding the surgical process that should never be expected to happen. If you find yourself a victim of one of these events, you may require the help of a medical malpractice attorney to pursue legal action. Some considerations to keep in mind with any potential surgical malpractice case are mentioned below. As a patient, you must prove that you are treated with a level of care that was substandard before you can have a legitimate case for medical malpractice. In other words, would another competent surgeon or medical professional have provided the same level of care under similar circumstances? 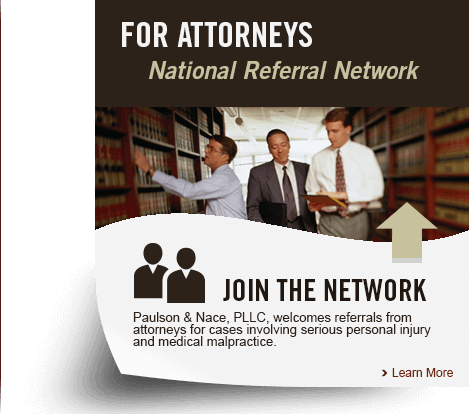 Your attorney will use all necessary resources including consultation with expert witnesses to establish that your surgeon or other surgical staff, which may include nurses and anesthesiologists, etc. failed to perform according to a commonly accepted standard of care for patients. There is an inherent risk associated with all surgeries, and not every surgical mistake equates to medical practice. At times, the surgeon may not be at fault for a bad outcome. Hospitals require patients to provide informed consent prior to surgery for this very reason. Surgical errors not only occur during an actual procedure, but also much earlier during the planning stages. Preoperative activities may involve confirming the correct identity of the patient, ensuring their medical history is current, evaluating potential risks of the surgery, and providing the patient with information about those risks and possible alternatives. Failure in any of these aspects can lead to eventual injury and may constitute surgical malpractice. Anesthesiologists are also susceptible to committing surgical malpractice if they fail to confirm the patient’s identity, answer their questions, and provide too little or too much anesthetic. An insufficient amount of anesthetic can cause a patient to awaken prematurely. Too much anesthetic has the potential to be fatal. Surgeons in the operating room must first of all have proper qualifications, training, and experience to safely perform procedures on patients. It is possible to have a situation in which a nonqualified surgeon conducts an operation for which they do not possess the necessary skills. This is unfortunate, but can occur. The entire surgical team is obligated to use extreme care, sterile surgical tools, and also ensure that no tools are left inside of patients. The post-surgery period must also be handled with diligence and care to ensure the patient recovers in an environment that is sterile and free from infection. Proper observation of the patient is also highly important during this time. Many times, patients will be given certain medicines in the wake of their surgery, either for pain management, or other reasons. These medicines must be administered properly and in the correct dosages. Failure to do so may constitute medical malpractice.